Six different goal scorers, 11 players with at least a point and 56 shots on goal helped score the Ottawa 67’s a decisive 6-2 win over the Sudbury Wolves Sunday afternoon to close out their three-game northern road trip with a 1-1-1 record. After going down a goal inside the opening minute of the game, the 67’s evened the scoreline midway through the first period on Noel Hoefenmayer’s third tally of the season. Less than 90 seconds later, Ottawa took the lead when Austen Keating scored on the power-play as the 67’s held a 2-1 advantage after the opening frame. Sudbury would equalize before the second period was two minutes old, but three goals less than six minutes apart from Chase Campbell, Artur Tyanulin and Ben Fanjoy comfortably gave Ottawa a 5-2 lead after the second period. Ottawa outshot Sudbury 45-22 through two periods and finished the game with 56 shots on goal. Jared Steege scored his second in as many games in the third period powering the Barber Poles to the 6-2 win over the Central Division-leading Wolves. Leo Lazarev turned aside 33 shots in the Ottawa win. The 67’s scored 14 goals over the three-game road trip earning three out of six points. Ottawa is now the fifth highest scoring team in the entire OHL with 47 goals through 12 games this season. 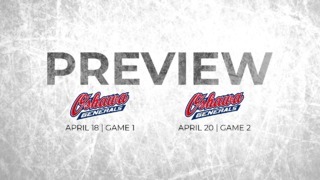 Ottawa returns for a pair of home games next weekend at TD Place starting Saturday night at 7 p.m. against the East Division-leading Hamilton Bulldogs. On Sunday, it will be a spook-tacular affair at The Arena at TD Place for a special Halloween game at 2 p.m. when the Flint Firebirds come to town. Tickets are available by clicking here, calling 613.232.6767 X1, or in person at The Box Office at TD Place. All minor hockey players part of the 67’s Prospect Program presented by Enercare get in for FREE. For more information on the 67’s Prospect Program click here. Click here for the complete 2016-17 Ottawa 67’s schedule.